In order for fertilization to occur, a sperm must meet an egg. This happy event typically takes place in one of the fallopian tubes—the tube that connects the ovary to the uterus. But if one of those tubes is blocked, your chances of fertilization become much lower, which means that you will have a lower chance of getting pregnant. Hydrosalpinx is a condition where a blocked fallopian tube fills with fluid, and it is a common cause of tubal infertility. Read on to learn more about the causes, treatments, and possible pregnancy outcomes for people with hydrosalpinx. 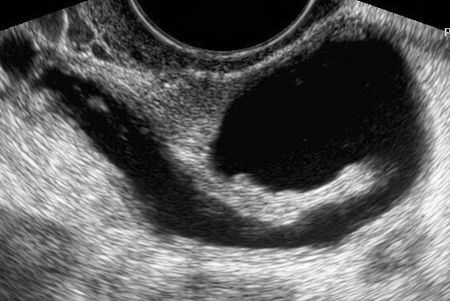 Ultrasound might be effective in diagnosing hydrosalpinx, especially if it has large amounts of fluid and swelling. Diagnostic laparoscopic surgery is another option. In this case, your doctor usually injects your uterus with dye and then uses a tiny camera that enters your body through a small incision to assess how the dye flows through your fallopian tubes. This camera can also allow your doctor to detect hydrospalinx visually, as well as determine what else might be happening with your reproductive organs. X.M. Song et al., J Obstet Gynaecol Res, 2016. K.E. Shelton et al., Hum Reprod, 1996. Does Your Body Mass Index (BMI) Affect Your Fertility?